I never get much done without specific goals. I use them at work, while I willingly crush my soul in the cold vise of corporate blogging. I use them in fitness, while I flop around on the gym floor and try not to think about how far behind the rest of the boxing class I am. And I use goals when I write stories. Usually I’m bad at setting these goals by myself. Either I set them too close and fall hopelessly short of achieving them, or I set them too far out and think it’s a great idea to marathon two or three anime shows before I finally get to writing. And then I fall hopelessly short of achieving my goals. But God knows this about me, so he gave me a good friend to help. Jesse Koepke and I have been meeting to discuss our writing projects monthly for a few years now, and after a while he started concluding the meetings with “What are your goals before next time?” Sometimes I would set them vaguely, floating somewhere in the aether overhead. But the more specific the goals got, the more actual progress I made. It was at Jesse’s prompting that we got our outlines ready for NaNoWriMo last year and take the leap (he finished his 50k, I hit around 20k), and it was Jesse who found out about Realm Makers, a conference specifically for sci-fi and fantasy writers who are also Christians, just a few hours away in St. Louis. We’d been talking about finding a conference for a long time. It couldn’t have been more perfect. We set a goal: We would each have something to pitch at the conference, a draft with which we were happy enough to put in front of an agent or an editor (or someone? We weren’t sure yet) as an example of our literary chops. This was sometime back in March, so we had some time. I was in the middle of the first draft of my current project, an automotive fantasy currently titled A Legion of Gods, and though I had pushed hard through the previous November, I was lagging again. But the goal was set, and every time I wanted to just Netflix and Chill, I reminded myself that August was fast approaching. On July 9th I finished the second draft and scratched out an abysmal prologue to cap it off at 108,000 words before I sent it out to my beta readers. Of course it was perfect, so they wouldn’t have anything to fix, and I would be ready for the conference. My feedback cauterized my pride, however, and I realized that the draft, the opening especially, needed some heavy shop time before it would be ready for the pitch. But my failure to meet my goal proved a blessing in disguise. I had never been to a conference before. I’d be in a room full of pros, most of them introverts like me, and I had no idea what to expect. I was nervous. A dot-matrix printout of my emotional state on the first day of middle school scrolled endlessly in my brain. It was the last place I wanted to discuss a business venture, especially when I knew nothing about the business. Thankfully, all those introverts proved friendly, kind, helpful, and interested in my project, just as I was interested in theirs. This is the strength, I think, of a Christian writing conference. Everyone was so welcoming. It felt like I was at my beloved church, except that everyone there was also a nerd like me. I’ve never wanted to write under a specifically Christian publishing house, and I still don’t. But knowing there’s a whole community of people out there who just get it, on every level, is a huge comfort. I met so many awesome people. Friends I wish I could hang out with every day. People I wish could join the writing group with Jesse and me. Some were aspiring, pre-published authors like myself. Others were newly published. A few had been writing professionally for years. Some were experienced agents or publishers, and some had written New York Times bestsellers. But to a person, each one was happy to talk, swap stories, offer advice, and ask questions. Is there a better environment for the writer’s brain? His heart? A great deal of that aforementioned advice will be kneaded into my third draft. David Farland’s Editing to Greatness track was a gold mine. I’m surprised I didn’t spend an entire pen (Pilot G-2, because I don’t play) trying to scribble down his lectures. His experience and exposure left me with several substantial editing ideas for my “perfect” draft. During free time, I asked David for his advice about my project’s marketability, and we ended up talking for about an hour. Robert Treskillard’s lecture on tension and suspense gave me some insight on general technique to employ on my third draft, and LB Graham’s session on Keeping the Magic in Fantasy triggered some huge ideas to enhance the mystic element within my seemingly unfantastic fantasy. I was a little miffed at myself for missing my deadline and not bringing a draft. Far worse, however, was leaving my Scottish warrior costume behind when there was a perfectly good costume party on Friday night. Not Thursday night, as I’d thought when I’d decided not to bring my kilt or my five-foot Claymore. There I was, in a room full of unforgettable costumes, and I’d left mine four hours west. I told everyone I was dressed as David Farland. I can’t decide if this was worse than Saturday night. Telling the owner of three excellent Nerf guns that there’s an impending zombie battle is only a positive when he has such an armament on his person. Rather than four hours west. Next year, I guess. “Write it on your phone,” Jesse admonished as we drove back toward KC. The St. Louis suburbs were still cutting out the night on either side of the road, and we were discussing goals again, because we knew all this liquid gold would be a waste if we didn’t have the proper molds for it. I was lamenting that I’d probably forget the points of our conversation by morning, brain tired and addled with enthusiasm as I was. -September 1: Implement feedback and new techniques. Since I’m still waiting for some second draft feedback from my beta readers, I’ve extended my original deadline by several weeks. (Make it happen, guys.) This will give me time to process everything I learned at the conference and figure out how I want to work it in. This will also knock open a window for me to work on a side project, a middle grade series about a boy and his talking motorcycle, known for the moment as Skellan and Boxter. After I start the third draft of A Legion of Gods, I’ll confine Skellan and Boxter to one night per week, probably Saturday. -January 1: Submit a third draft for a professional edit. 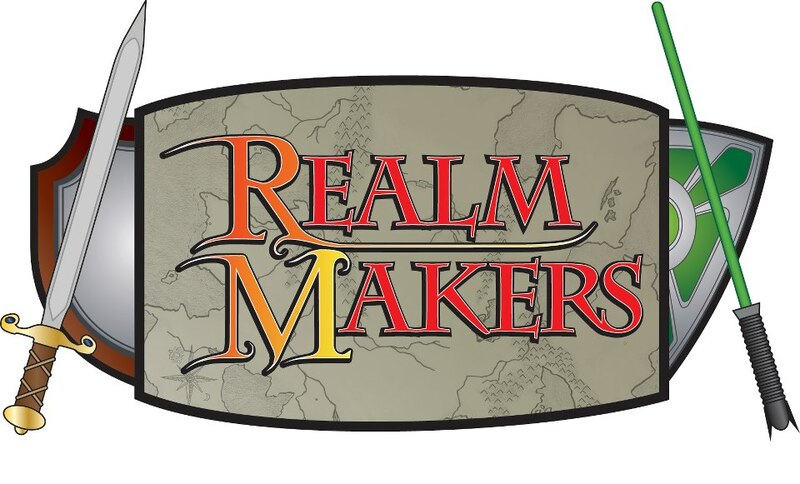 Quill Pen Editorial has extended a discount toward Realm Makers attendees, and it’s best described as killer. I plan to take full advantage of it. Quill Pen’s Catherine Jones told me it was best to work the feedback into a third draft before seeking paid wisdom, so I’m running with it. -March 1: Load my shotgun with a solid fourth draft and start hunting for an agent. Steve Laube, if you’re reading this, get ready for some questions about finding an agent. All I know about literary agents is that I need a brave one, since automotive fantasy isn’t exactly an established genre. By October of 2016, I’d like to have a book deal for A Legion of Gods. I don’t expect to make a living from it. I was disillusioned regarding this at Realm Makers. In my picturesque, pink-vignetted writing dreams, I always wrote a hit and made every dollar with words from there on out. I don’t think it’s impossible, but perhaps very highly improbable. The genre just isn’t there yet. So I’d like to opt for a short contract. Once I’ve established credibility with A Legion of Gods, I’ll work to get a much bigger deal with my middle grade series, which should be heavily in development by then. At some point in the future, and dates have not been announced, the next Mad Max film, Wasteland, will hit theaters. 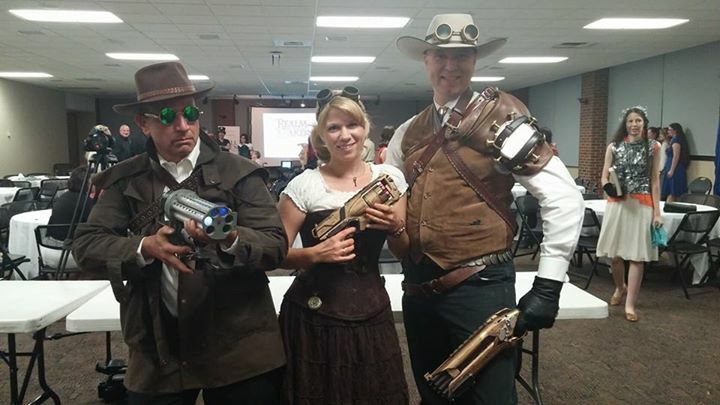 After the runaway success of Fury Road, Wasteland should bring in some fans. Mad Max, though it’s technically in the post-apocalyptic genre, is about the closest thing we have right now to automotive fantasy. Now we’re really reaching into the future, but I hope to renegotiate A Legion of Gods into a new, more valuable contract, possibly including sequels, around that time. Before Realm Makers, exactly none of this was on my radar. I had a fuzzy idea of sending a third draft to 80 agents and desperately hoping they’d settle for a .pdf, because who can afford to print 80 copies of a 400 page book? So if you’ve never been to a writers conference, just go. It’s a few hundred bucks, but will teach you more than you ever thought you’d learn. I can’t wait for the next one.